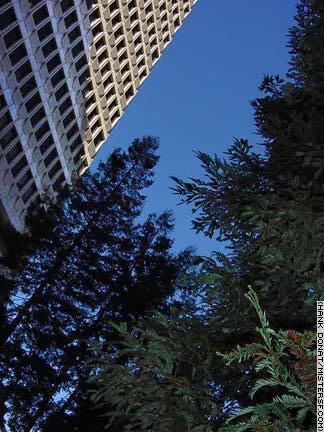 A half acre redwood grove grows behind the Transamerica Pyramid. Transplanted from the Santa Cruz mountains, the magnificent redwoods dominate a lovely park designed by Tom Galli. Dog lovers will enjoy the bronze plaque here honoring two stray dogs that legend would have it were Emperor Norton's sidekicks - though they were not. Bummer and Lazarus were "adopted" at large by early San Franciscans who followed their adventures in the daily paper.